It's Tuesday and it's time for some STAMPlorations inspiration. I've gone all tropical with my colours (Spiced Marmalade, Peacock Feathers, Pickled Raspberry and Mustard Seed). 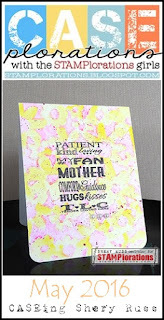 I stencilled some ARTplorations Just Squares with clear texture paste, and once it was dry I sponged the colours. On a spare piece of card I stamped the birthday cake and watercoloured with the same colours. 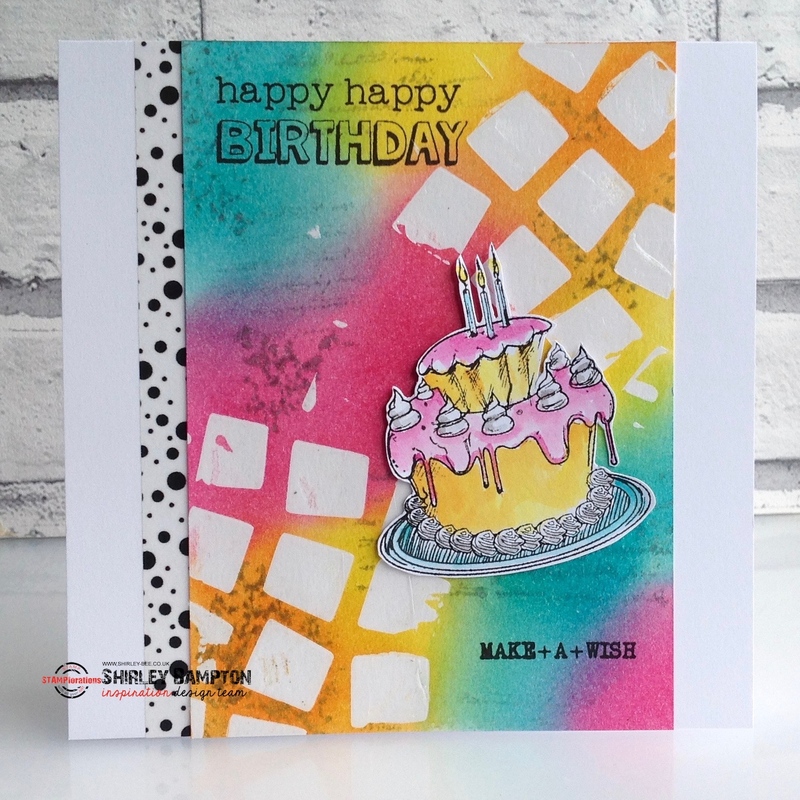 The background stamps are from Mixed Media Grunge and Mixed Media Elements, and the sentiments are from Party Time and World Birthday Cakes. A strip of dotty washi tape completes the card. 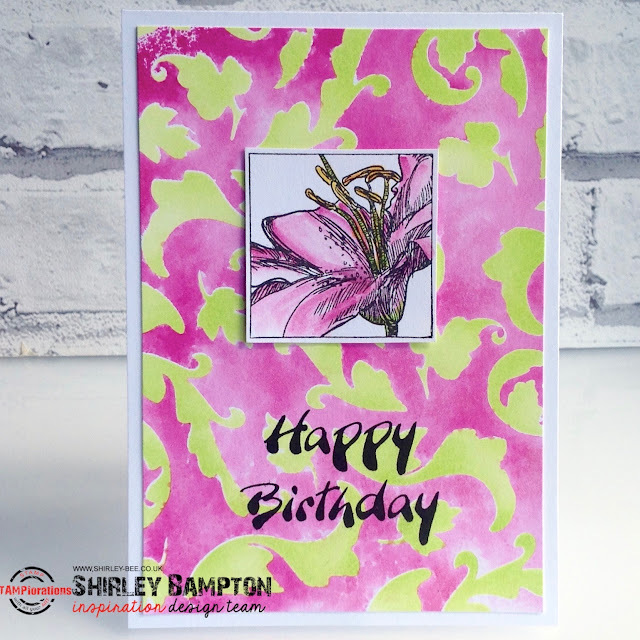 Pop on over to the STAMPlorations blog for some more fabulous inspiration from the team, and don't forget to leave a comment there for your chance to win a gift certificate. 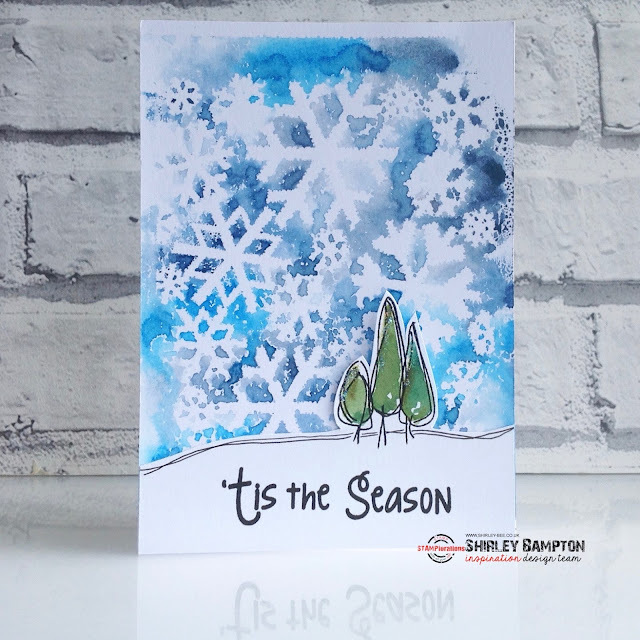 Snowflakes - tick, curvy landscape - tick, big sentiment (Holiday Sketches: Christmas Bells) - tick, and my focal point is the trio of trees from my stamp set Houses Extras. And I've added some Stickles to the trees for a bit of wintry sparkle. You can see more STAMPlorations inspiration from the rest of the Design Team on Tuesday by clicking this link. 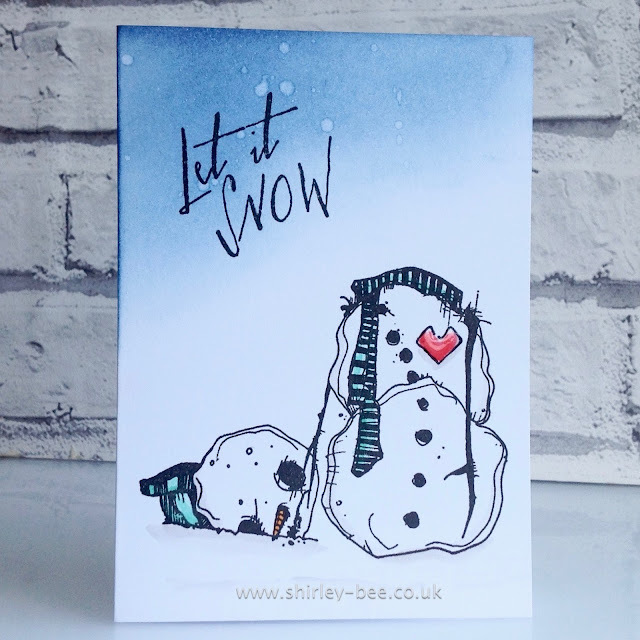 And I've now got one more Christmas card for my stash! We've got a new challenge for you at Seize The Birthday, and this time our theme is Dimension. I've had this unfinished card base in my stash for a long time. It was inspired by a card I'd seen with purply texture paste, but it's so long ago I can't remember whose card it was, and I didn't pin it. So if you think it was yours, shout out. Anyway. Purple texture paste, microfine glitter sprinkled on. Doily. 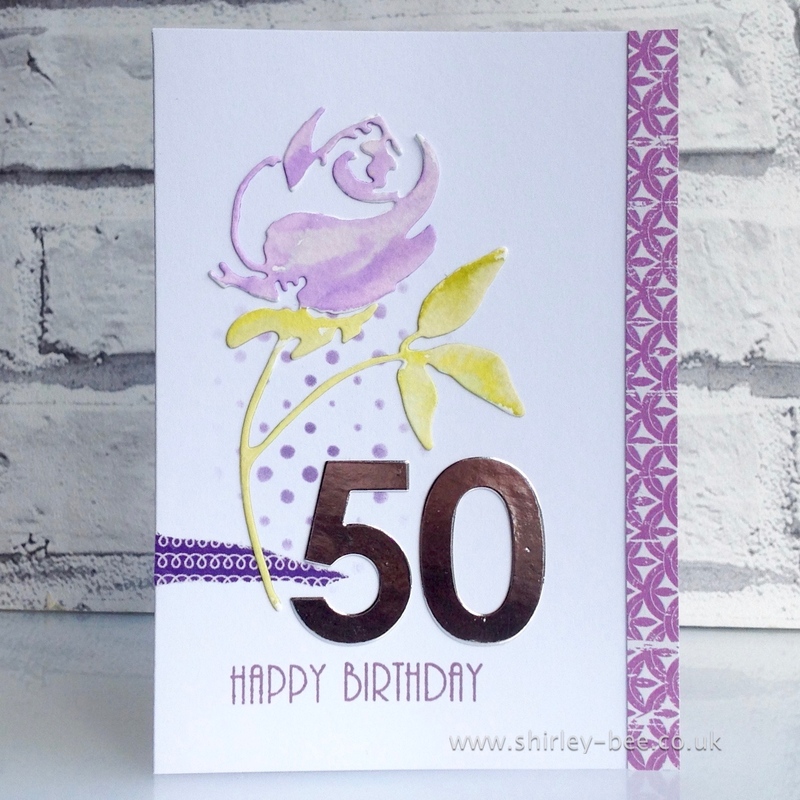 Penny Black image, coloured and matted onto purple card, and glossy accents added to the heart. 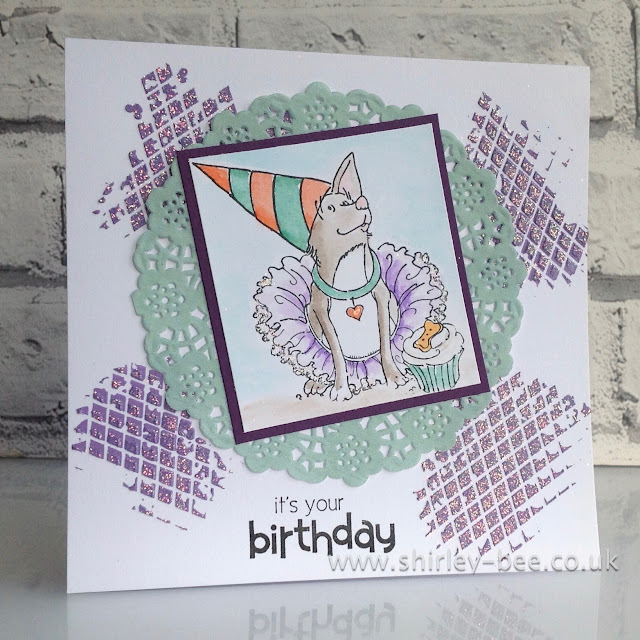 Pop on over to the Seize The Birthday blog for some fabulous inspiration from the rest of the Design Team, and play along with us. If you don't want to use dimension, that's fine as long as it's a birthday project. My blog has been on auto pilot for the last week while we took a last-minute holiday to Ibiza, so I've got a lot of catching up to do, but before that I'm just popping in with a quick post to wish Sandie of London Days a very happy 50th birthday, and joining in the linky party over at Time Out. It's no surprise that the theme is CAS (Sandie's favourite style) with a twist of purple (Sandie's favourite colour)! Happy birthday Sandie, I hope you're stretching the celebrations out for as long as possible! I'm also entering this into CASology Stencil, which is being sponsored this week by STAMPlorations. 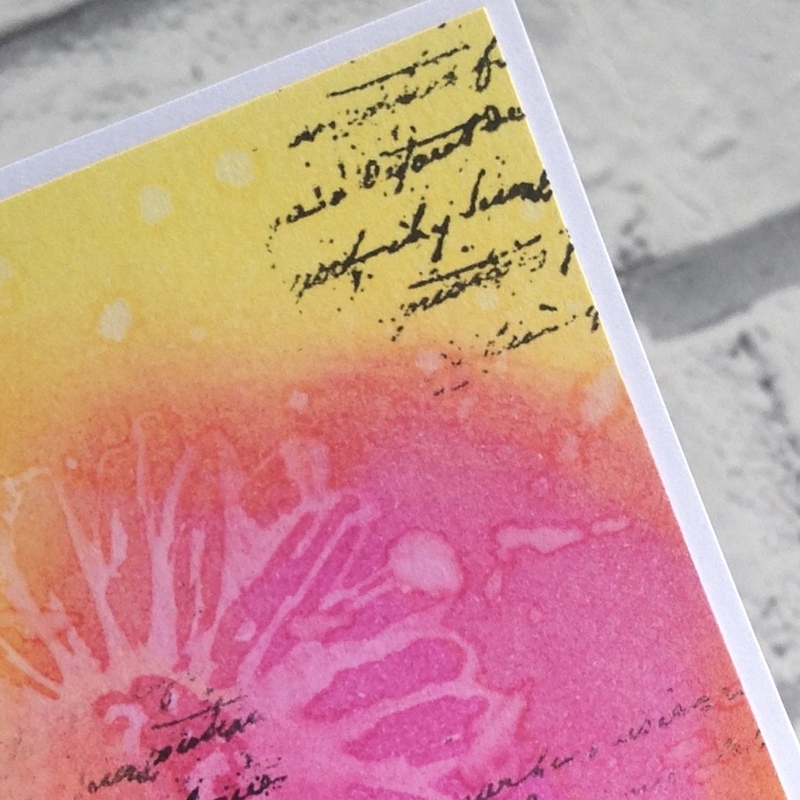 I've used the Dots All Over ARTplorations stencil with Dusty Concord Distress Ink, and a sentiment from Deepti's Balloons and Banners, together with with a Penny Black die and large Parker numbers. 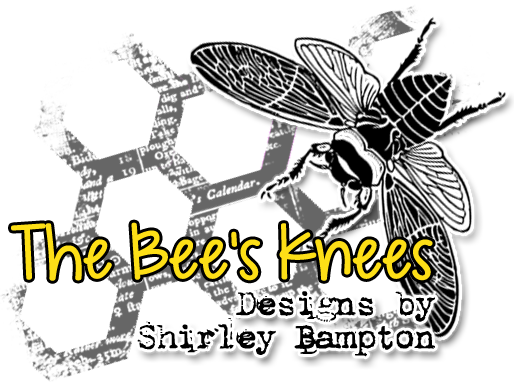 I'm over at STAMPlorations tonight with some tray-baked notelet cards. Here's a sneak peek. 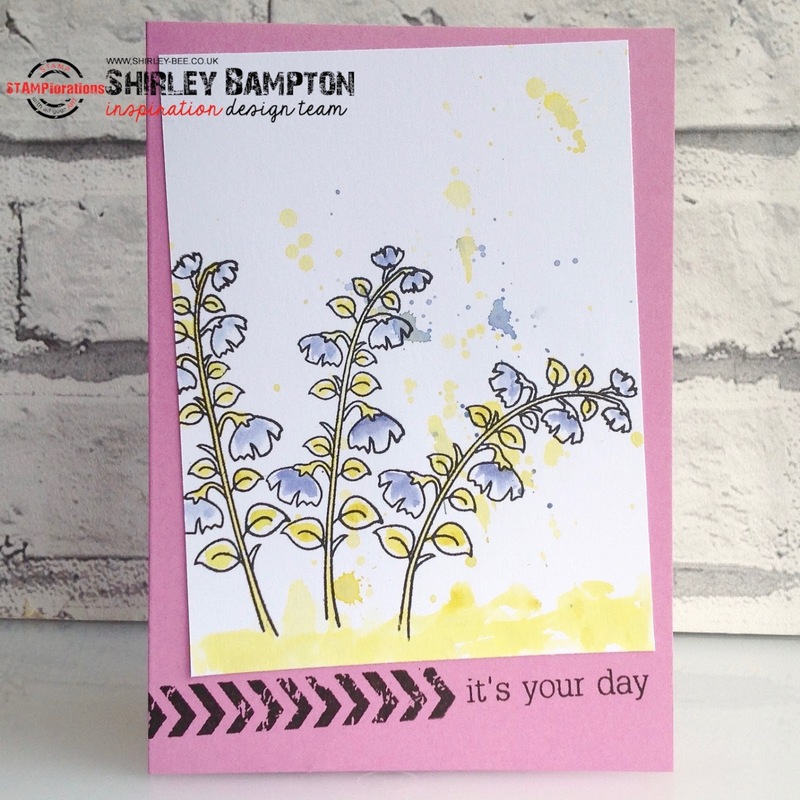 It's Inspiration Tuesday at STAMPlorations, and today I've used the blossom sprig and a sentiment from Deepti's set, Smile. I started off by splattering some diluted Stormy Sky and Crushed Olive onto white card, then stamped the three flower sprigs, bending the stamp each time to get the different angles. Then I watercoloured the flowers and leaves, and the base of the white card, and attached it to the pink card. 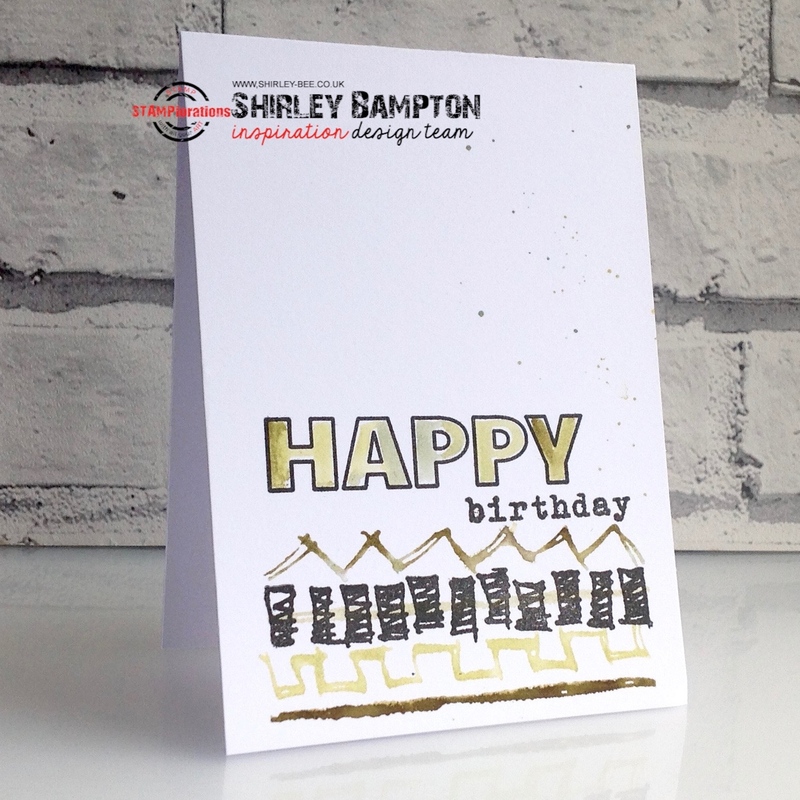 The grungy chevron is from Mixed Media Grunge. 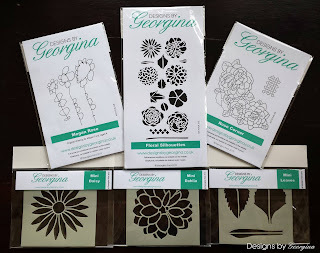 Pop on over to the STAMPlorations blog for some more fabulous inspiration from the rest of the Design Team, and don't forget to leave a comment for your chance to win a $10 gift certificate. I'm adding this to Simon Says Wednesday Challenge, Flowers. 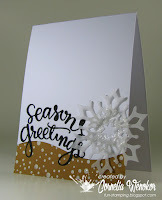 Are you playing along with Craft Stamper Take It, Make It? 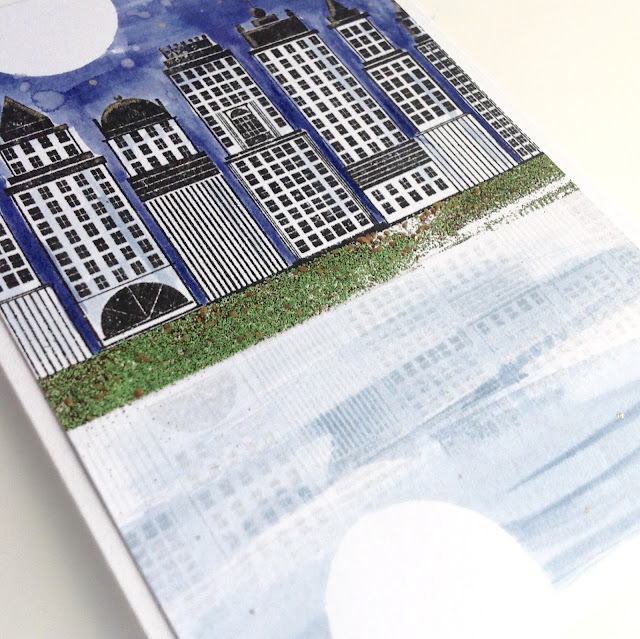 All you need is a stamp, because this month's theme is 'Take A Stamp'. I've used one of the images from my new set, Groovy Shoes. 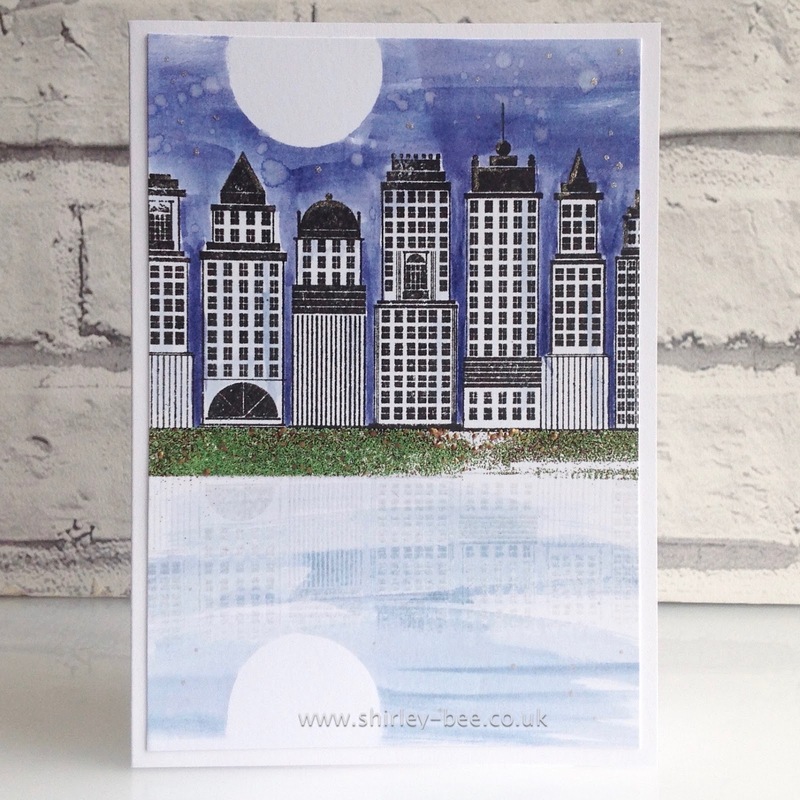 One of the images from the set also features as Craft Stamper Magazine's first digi cover stamp, and it's free to readers (including overseas readers, who've always missed out on the polymer cover stamp). There's also a giveaway in the magazine for the full polymer set. See your copy of the mag for details. 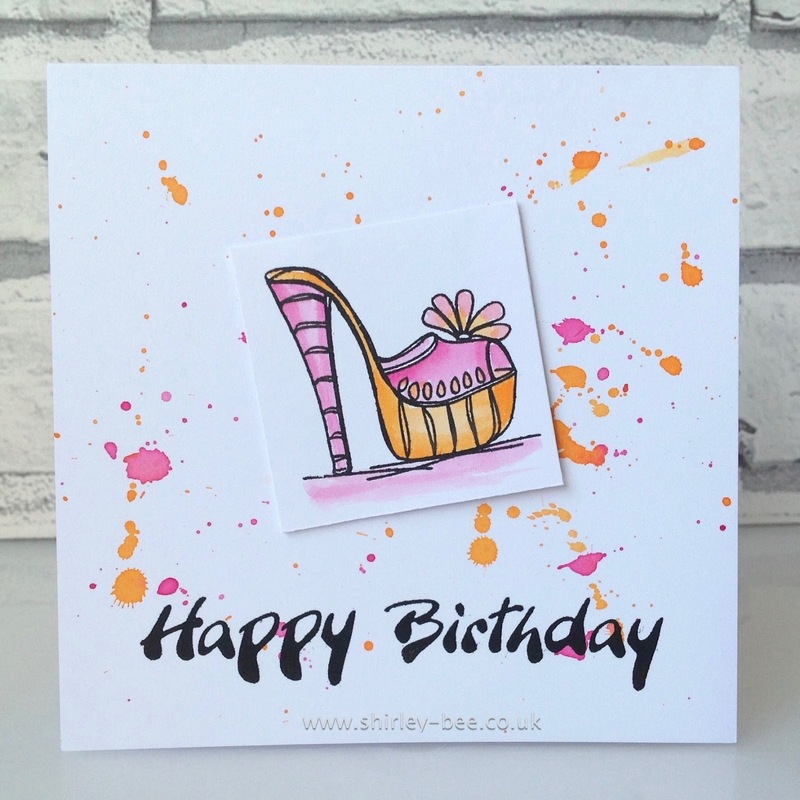 The background on my card is part of a gelli print that was lying around in my stash, and that was the starting point for my colour scheme on the shoe. 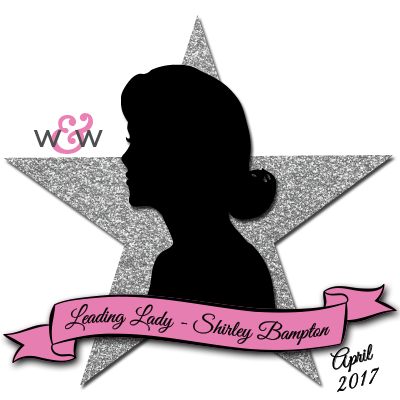 Pop on over to the Craft Stamper blog for some more fabulous reminder inspiration from the team, then play along for your chance to win. It's Inspiration Tuesday at STAMPlorations, and today I've got a quick masculine card for you. I made this for a couple of challenges weeks ago but missed the deadlines, so here it is now! Using Bundled Sage, Peeled Paint, Shabby Shutters and Forest Moss, I inked the border stamps (Artsy Border Maker) and spritzed before stamping, then added one border in black. The sentiment is from Big Greetings. Of course, I had to add a few splatters to finish it off! Pop on over to the STAMPlorations blog to see more fabulous inspiration from the Design Team, and don't forget to leave a comment there for your chance to win a $10 gift certificate. 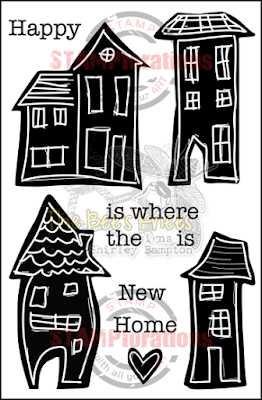 Time for a new challenge at Craft Stamper Take It, Make It. 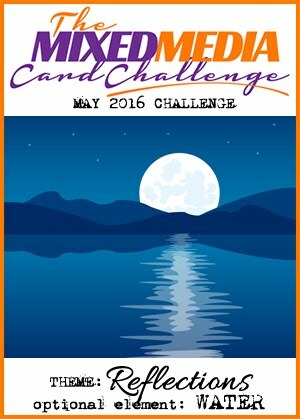 This month it's Take a Stamp - any stamp, any number of stamps. The winner chosen by the Design Team will have their winning entry published in the new-look Craft Stamper magazine, a profile post on the blog, and a guest design spot in a future challenge. Pop on over to the Craft Stamper blog for some more fabulous inspiration from the Design Team, and join in for you chance to win. 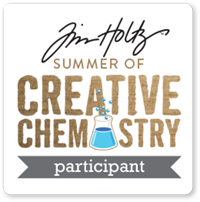 Don't forget - only one project in your post to be eligible for prizes. It's time for Seize The birthday, and this challenge is all about colouring. My colour scheme started with the pre-coloured letter stickers. 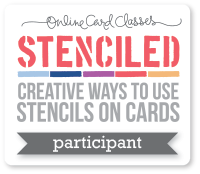 I had the lacy inky background in my stash, so it was just a case of stamping and colouring the image to match, and adding a numbered balloon with string. 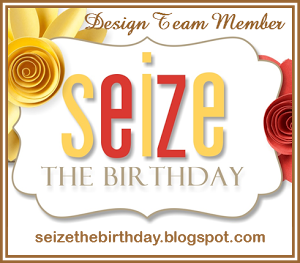 Pop on over to the Seize The Birthday blog for some more fabulous inspiration from the Design Team, and join in with us. If you're not into colouring this time, that's fine as long as your entry is birthday-related. Here's what I made. I sincerely don't want it to snow. We're desperately waiting for spring here! 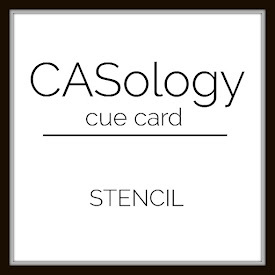 A straightforward QACAS (quick and clean and simple) card. Sponged the sky (Faded Jeans), spattered water, stamped the image and sentiment, added a little colour to the hat, scarf, nose and heart. Added a little shadow for snow, and Glossy Accents on the heart and it's done! Shery is famed for her one-layer cards that pack plenty of punch, and this one is no exception. Shery has used two stencilling techniques on her background, and a text block sentiment. But that's not all there is to CASE - what about that gorgeous pink and yellow combination, the curved corners, or the floral background theme? I used the same stencilling technique, using Pickled Raspberry and Twisted Citron, and then I found this stamped lily (from Boxed Blooms and Bold Sentiments), already coloured pink, in one of my many bags of stash. See, there's always a reason for keeping bits 'n bobs! The sentiment is from my new set, Groovy Shoes. Pop on over to the STAMPlorations blog for some more fabulous CASEs of Shery's card and join in for a chance to win.